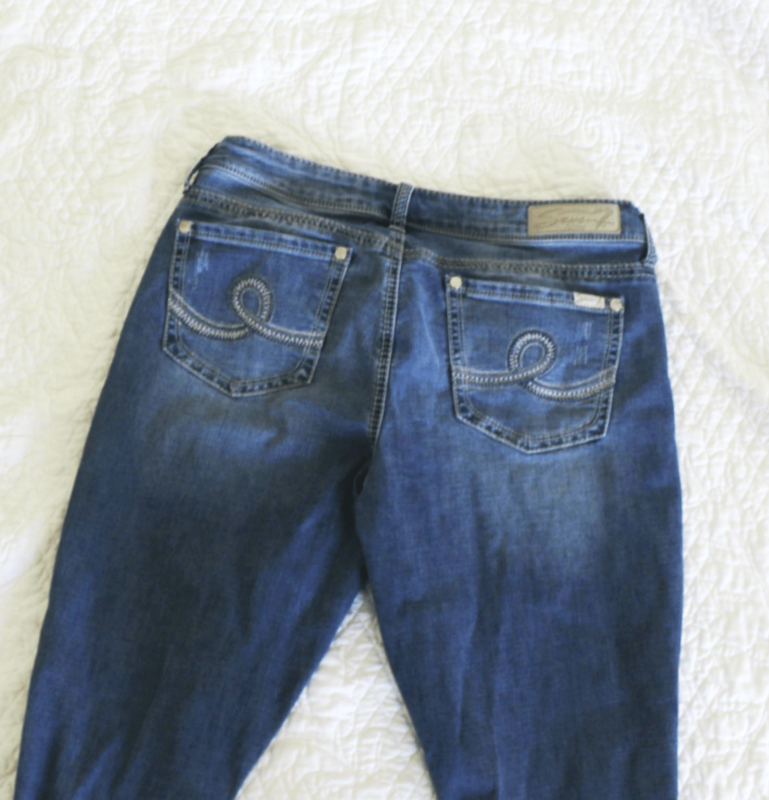 Back in the Fall, I shared a post on where to buy jeans in the Fall. In that post, I talked about the idea of sharing things to encourage moms and homemakers every now and again here on the blog (beauty, motivational finds, style, things to entertain, etc). Basically, anything helpful that could bring some motivation and a bit of joy to encourage moms, wives, and ladies in general to take some time to develop themselves. I still don’t know a general title for these posts yet but I plan to share them as they they come. I also want to bring in more from the kids from the aspect of kids fashion, hair, beauty, etc. Since we are now renting, I get a little stumped on the decorative side of things as I don’t always have a home project happening. That’s not to say that our house is perfectly put together. Nope – not by any stretch of the imagination. It’s just that with renting, it becomes a bit more difficult to customize spaces within the home. My intent is to branch out in other areas of home rather than scramble to find decorative and DIY posts all the time. I have already being touching on various lifestyle ideas here on the blog but I want to branch out more. By this I mean, having just enough to cover more home ideas without the overwhelm. So today I’m talking about clothing because I’m not sure what woman does not want to feel put together. I do realize though that as moms & homemakers (with or without other jobs), we get caught up in the daily mundane of house chores and schedules that our own basic needs get pushed aside. Also, we have the nature of giving to others and putting their needs before ours. That’s not bad. But while we should put the needs of others before us, we also have to make time to take care of our own needs. I’ve been scanning my closet and noticing that I’ve ran out of dressier Spring-like tops. Tees won’t always make the cut. I keep wanting to do something about it but most of my clothing shopping trips usually revolve around the kiddos (in a good way). I also find it difficult to shop for myself when the kiddos are shopping with me – ya know. Do you find yourself in a similar situation? When is the last time you revisited your wardrobe with intent? Do you find yourself running out of a particular type of clothing but you just “can’t find time” to dedicate to finding something new? Or do you find yourself feeling guilty for even thinking of spending on yourself? What do you love or what kind of things did you like before the ‘busy’? Confession: Growing up, I was a true girly girl – I loved all the fancy girly and glittery stuff – the clothes, the jewelry, don’t even get me started on the shoes. My mom could not understand how a tall person like me could be comfy in high heels. She was not discouraging me from wearing them – she was just amazed. I had to have them!! After I got married, my obsession for shoes continued, much to my husband’s dismay!! I kinda feel like some of the things I loved got a bit pushed aside and the daily mundane took over. I do think there should be some aspect of balance. In any event, I decided to make a stop at a clothing store (Burlington Coat Factory) while we were out one day and picked up a couple dress tops. (It was not an official Spring clothing shopping trip – just a stop as we were in the area). My tees and winter tops and everyday tees needed just was not cutting it. But even as I was out searching through the racks, I was like “Oh my, what’s my style again”? Then I spotted two tops that I thought I might like, both for under $10 each. I don’t know that they are trending per se but they caught my attention while searching through the clothing racks. It must have been the cosmetic necklaces that came along with them because I just love a statement piece. Anyway, they were cute and I figured it would be a two for one kind of a deal. I’ve being collecting cosmetic jewelry pieces to restock my stash too (ha ha). I’ll show you how I paired the tops with two of the denims I bought back in the Fall plus shoes I already owned. (Spring time here is still very cool so I am OK with longer pants). These looks are casual and comfy for Spring and certainly makes me feel a bit put together. They’d be a good fit for events such as an evening at the mall, friend’s get together, casual dinner event, etc. Note: Shoes and pants are always subject to be mixed and match with other favorites cause I certainly don’t want to combine the SAME looks all. the. time!! I also picked up a couple sandals after these photos were taken (bottom of post). You can see how I swapped out the gold slip-on flats for another one in the photo above. That floral top though with those bold prints – not even sure when I last had one. Floral dresses are an easy buy for me but I tend to lean towards plain tops with a bit of design and things that are not too busy. It all depends on what kind of flowers are on the clothing because I prefer something a bit modern. Check out these two outfit ideas for causal Spring looks and let me know what you think about them. So these are some of the fashion finds that I’ve gotten lately that have helped me to feel a bit more put together. I hope I could inspire you to try something new. This is not a post that’s meant for you to be selfish (not promoting that) neither is it meant for you to hoard things you don’t even need or ‘spend’ money you don’t have. But it’s one meant to encourage you to take care of your needs too and find things that could motivate you as a mom, wife, homemaker, and the like. And if you are tired of the same old stuff all the time, I think it’s OK to do a refresh every now and then. So go search through that wardrobe, see where you are lacking, then add a couple pieces that you might enjoy. What clothing pieces have you gotten lately to help you feel a bit more put together or just to motivate you? I’d love to know in the comments!! I am loving the floral prints this Spring! I have bought so many tops with so many pretty floral prints! Floral Prints and Spring just kinda go well together!! I always love to see all the pretties!! Both tops are so pretty but I love the floral one more! I am actually addicted to anything floral. Lol! LOL! The floral one definitely had my attention. I love the color scheme of it. I love the pink floral top!! It’s SO perfect for spring! Great round up of some spring outfits! Thank you Kaitlin – that pink floral one really is cute!! I absolutely love that floral top!!! So perfect for Spring! Isn’t it so pretty?!!! Thank you Mistle! !